Sermon for Good Friday: "A God Who Bleeds, A God Who Dies"
Good Friday brings this question to the front of our minds once again. 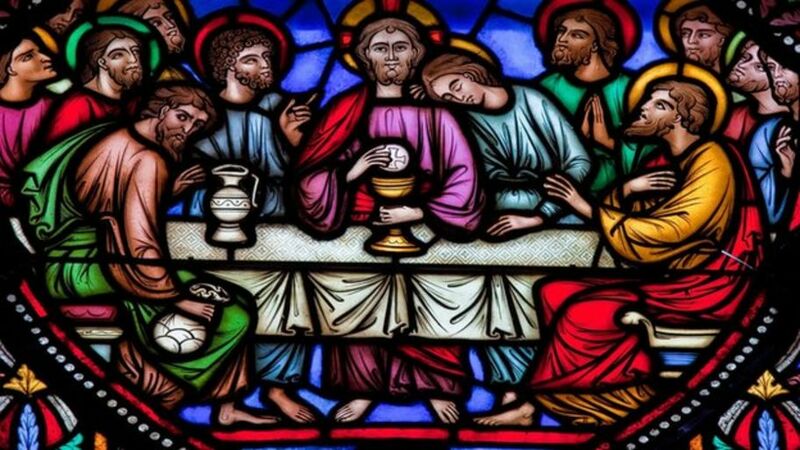 Why does Jesus hunger and thirst? Why does Jesus allow himself to be beaten and mocked? Why did Jesus take on human flesh only to be betrayed, ridiculed, crucified, dead, and buried? Why did God become man? For this day. For the cross. For you. On the cross, God is forsaken so you will never be forsaken. On the cross, Jesus bears our sin and our death so that we will bear his forgiveness and life. On the cross, we behold the God who became man to bleed and die for us. Behold Jesus’ hands. The night before they were washing His disciples’ feet. Now they are pierced with nails to the cross for you. Behold the hands that formed Adam out of the dirt, now stained with blood and dirt for you. Behold the fingers that touched land healed lepers, stuck into the ears of a deaf man, and picked up bread to declare it to be His body. Now they tremble with pain as he is crucified for you. This is why God has hands. For you. Behold Jesus’ skin. Lacerated. Bruised. Beaten. Bleeding. His knees skinned and bruised from falling under the weight of the cross. This is why God has skin. For you. Behold Jesus’ feet, nailed to the cross, bearing His weight as He dies. Behold the feet that walked from town to town as He taught His disciples, healed the sick, and preached the good news of our release from captivity to sin and death. Behold the feet that Mary anointed with a pound of expensive ointment, washed with her tears, and wiped with her hair. Behold the feet that are now bound in place. Behold the feet that must endure stabbing pain as he struggles to draw each painful breath. This is why God has legs and feet. For you. Behold Jesus’ heel, which, by his death, is crushing the head of the serpent, destroying the kingdom of Satan, answering for mankind’s sinful rebellion. This is why God has feet. For you. Behold Jesus’ head. Blood drips and flows from the place where the thorns press through His skin. Behold the head over which has been hung the sign listing the charge that brought this death sentence: Jesus of Nazareth, the King of the Jews. This is why God has a head. For you. Behold Jesus’ face. A face that is swollen and bruised from the blows dealt by the High Priest’s officer, and later by the soldiers, jeering at Him to “Prophesy! Who is it that struck You?” Behold the eyes that looked with mercy and compassion on the crowds, on His disciples, on the sick. Behold His lips, which spoke words of absolution and now cry out in thirst. This is why God has a face. For you. Behold Jesus’ lungs as they slowly fill with fluid. Behold the lungs that breathed the breath of life into Adam’s nostrils. Behold the lungs that in this hanging posture cannot exhale without the man pulling His whole body up on the nails to open His airway. Behold the lungs that expel one final breath as He cries, “It is finished,” gives up His spirit, and dies. This is why God has lungs. For you. Behold Jesus’ bones, which remain unbroken. Behold the reason every sacrifice, every Passover lamb, every bull for the whole burnt offering, every scapegoat, every ram, every turtledove had to be healthy and intact, with no broken bones or disfigurement. Perfect. Holy. Spotless. Unblemished. Jesus is everything we are not, so in his death we receive everything he is and has to give. Jesus is truly bone of our bone and flesh of our flesh, God as man to save man. This is why God has bones. For you. Behold Jesus’ side, into which the soldier thrust his spear, causing a river of blood and water to pour out. A witness that he is dead. His heart has stopped. His synapses no longer fire. As God completed creation on the sixth day of the week, so too, Jesus has completed his work of crucifixion on the sixth day. And from the side of this crucified man, God will fashion us into His Bride, the Church, and give her to Him when He wakes. This is the same side that Jesus will invite Thomas to touch and no longer disbelieve. This is why God has a side. For you. Behold Jesus’ blood, shed on the cross for you. The blood He first shed when He was an eight-day-old boy, undergoing the sign by which all Jewish boys were made Israelites. The blood that was foreshadowed on every Day of Atonement when the blood of the sacrifice was splattered on the mercy seat, on the altar, and on the people. The blood He gave to His disciples in the cup the night before, telling them its purpose: shed for you for the forgiveness of your sins. The blood that reveals that Jesus who is true God is also true man, our brother and redeemer. The blood by which this eternal High Priest enters once for all into the Most Holy Place, us sinful men access to a holy God. This is why God has blood. For you. Why does God have a heart that beats, lungs that breathe, a brain with synapses that fire? For this day. For the cross. For you. God is man so that He can die, and in three days, rise again. For you. Maundy Thursday Sermon: "A God Who Loves"
“Talk is cheap,” we say. Or, “actions speak louder than words.” “Don’t just tell me you love me, show me.” We say these things because though we often think of love as an emotion and a feeling, love is more than a feeling. Love is an action. Love is changing your baby’s diaper. Love is taking your children to church, praying, and reading Scripture with them at home. Love is picking up chicken noodle soup from the store when your wife is sick. Love is brewing the extra strong pot of coffee for your husband after an exhausting day or night. Love is visiting someone who’s sick, or calling or sending a card to someone you haven’t seen at church in a while. God’s love for us, though far greater, is similar. God’s love for us is more than a feeling, though he has compassion on us, loves us, cares for us. For us, God’s love is an action. The same is true of Jesus’ love as we hear in John 13. Jesus’ love is an action. Now before the Feast of the Passover, when Jesus knew that his hour had come to depart out of this world to the Father, having loved his own who were in the world, he loved them to the end. Jesus rose from supper. He laid aside his outer garments, and taking a towel, tied it around his waist. Then he poured water into a basin and began to wash the disciples' feet and to wipe them with the towel that was wrapped around him. Behold the God who loves truly and perfectly. His love is seen in action. The Father has given everything into Jesus’ hands. Just like the children’s song goes. “He’s got the whole world in His hands.” Every power is at His disposal. Every authority under heaven and earth is His. He has created everything. And He holds everything in His eternal hands. And what does Jesus do with his hands? He removes his outer garments. He wraps a towel around his waist. He fills a bowl of water. He reaches out with his hands and removes the sandals from the scummy, dirty, travel-worn feet of His disciples. He holds their feet in His holy hands. He dips his hands in the water. He washes their feet. What wonderous love this is. God descends to take up the feet of sinful men into His holy hands. We can understand Peter’s protest. God should not wash his feet. That’s not how a proper God behaves. This is beneath God. God should not be getting his hands dirty. This is slave labor, a servant’s task. If God descends to take human flesh and then stoops to the lowest position, the foot-washing place, the whole economy of human hierarchy is turned upside down. But for Jesus, love is an action. Love is being made man for us. Love is Jesus eating and drinking with sinners and tax collectors, healing the unclean, washing grubby feet. Love is Jesus who gets his hands dirty for us. Love is the Son of man who came not to be served but to serve and give his life as a ransom for many. “As I have loved you,”Jesus instructs his disciples and us. Love as sinners among sinners. Love those who cannot and will not ever deserve your love. Love to forgive those who are completely unforgiveable. Love with your hands. Love in order to remove the filth, the guilt, the shame of your brothers and sisters. Love in order to get the dirt of your fellow man onto your own hands so that he might be clean. Love because your love will never be repaid. Love sacrificially. Love and never expect anything in return. Love as I have loved you, Jesus commands. This is a tall order. This kind of love doesn’t just sound hard. It sounds impossible. Who of us can say we love like that? No one. Except Jesus. He loves this way for you. Behold the man who loves those who are completely unlovable. Behold the man who loves those who, in just a few minutes, will abandon Him, will flee to save their own lives. Behold the man who loves the rebellious, the sinful, the lost, lonely, least, and last ones. Behold the man who loves those who could never deserve it. Behold the man who is God and who, in order to love His creatures perfectly and completely, has become man. Behold the man who loves the world completely and perfectly in His death on the cross. If we want to love like this, like Jesus did, like He commands His disciples to love, we’ll never get there relying on our own selfish love. If we want to love like this, we must first be loved like this. Jesus’ love for you is still action. “As I have loved you”is here, on the altar. Jesus’ love poured out for you on the cross fills the chalice. His body laid down in love for you in death is given to you in the bread. Behold the man, who on the night when He was betrayed, took bread, blessed it, broke it, and gave it to His disciples: “Take, eat; this is my body given for you. Take, drink; this is my blood shed for you for the forgiveness of all your sins.”Behold the man, veiled in bread and wine, given and shed for you for the forgiveness of your sins, for life and salvation. Jesus’ love for you is action. Living for you. Dying for you. Rising for you. Feeding and forgiving you in his body and blood. Raising you from the dead on the Last Day. Sermon for Palm Sunday: "Following Jesus"
We spend a lot of time in life following. Children play “follow the leader” around the playground. As we grow up, we follow instructions at work, school, or home. We follow the latest news, sports scores, or binge-worthy show on Netflix. Our Christian life is one of following too. We follow our Lord as he calls us his own in Baptism. We follow our Lord’s words as he shows us our sin in the Law and shows us our Savior in the Gospel. We follow where our Lord sends us, to our neighbor in need, to love as he has loved us. After all, the word disciple itself means “one who follows”. Today we follow our King Jesus as he enters Jerusalem to be enthroned on the cross for us. If anyone serves me, he must follow me; and where I am, there will my servant be also. Palm Sunday is a day of following that leads us to a week of following, as Jesus leads us. To the upper room where Jesus gives us his body and blood in bread and wine for our forgiveness. To the Garden of Gethsemane where Jesus is betrayed for us. To Golgotha where Jesus is crucified for us. To the empty tomb and the joyous good news that Christ is risen for us. You see, to follow Jesus is to follow him to the cross. For there is no other way. No other path. Left on our own we wander. We go astray. We don’t follow where our Lord leads us. So in order to save us, he leads us to the cross. He leads us to our death with him. The death of our sin. The death of following our own ways. The death of our wandering and lostness. The death of death. The death of the devil’s grip on us. This is what Jesus means when he says, “Whoever loves his life loses it, and whoever hates his life in this world will keep it for eternal life.” To lose our self-righteous, self-important, selfish lives and find in him a righteousness, an identity, and a life that is not our own. To die to sin in repentance and rise with Jesus in newness of life. To drop dead to following our own will and ways, and to follow where Jesus leads us. At long last, we follow Jesus where he has been leading his disciples. Throughout Judea and Samaria, from town to town, miracle after miracle, in teaching and parables, Jesus leads us and his disciples to his great hour. His glorification. His cross where he follows after us, chasing our sin and death into the grave forever, pursuing us with his grace and mercy, destroying the devil’s accusations against us. Through the palm branches waving as Jesus rode atop a lowly donkey, to the crown of thorns that adorned his head as he humbled himself unto death for you. Through the darkness of Good Friday and the grave, to the joy, light, and life of Jesus’ resurrection for you. For you, Jesus followed the Father’s will…by taking the form of a servant, being born in the likeness of men. And being found in human form, he humbled himself by becoming obedient to the point of death, even death on a cross. For you, Jesus is the grain of wheat that falls into the earth and dies, and bears much fruit in you. The fruits of his life. Fruits of His Spirit. Fruits of faith in him and love for others around you. The fruit of sharing the Good News of Jesus’ and resurrection with your family, friends, and neighbors. 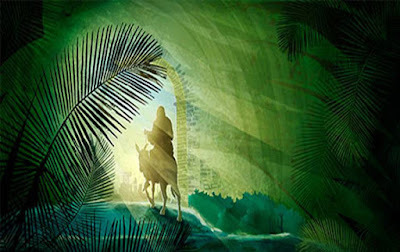 For you, Jesus enters Jerusalem on Palm Sunday that you may follow where he leads. Jesus leads you to himself by the water and Word and Spirit in your Baptism, to the Scriptures where he speaks and teaches that we might follow where he leads us, to the altar where Jesus himself is present for us in bread and wine, humble yet glorious servants bearing Jesus for us, like the donkey of Palm Sunday. Jesus also leads us to our neighbor with hands that bear his mercy. Lips that proclaim his love: Jesus crucified and risen for you. Ears and feet that follow where he leads us as we pray so often after communion, for faith in Christ and fervent love towards one another. Blessed are you who come in the Name of the Lord. Blessed are you this Palm Sunday, following where our Lord leads us. To himself. His cross. And to his body and blood given for you. Lenten Midweek Sermon: "A God Who Thirsts"
Water is life. The world’s surface is 71% water, our bodies are roughly 60% water, and we’re hard-pressed to find something we do in our daily life that doesn’t involve water. Without water, we die. Water is life. The same is true throughout John’s Gospel. John baptized Jesus in the water of the Jordan River. Jesus told Nicodemus that he must be born from above, born again by water and the Spirit. At Cana, Jesus made two- to three-hundred gallons of water into the finest vintage wine. “I will give you living water,” Jesus promised the woman at the well. Jesus walked on the stormy, wind-tossed waters of the Sea of Galilee. Jesus healed a blind man with spit and mud to heal his eyes. Jesus washed His disciples’ feet with a bowl of water. And when the soldier took a spear to confirm that Jesus was in fact dead, John tells us that he unleashed a river of blood and water from His side. Water is life. A theme which flows like a tributary, growing wider and swifter throughout John’s Gospel, until it leads us to Jesus. To his cross born for us. To his word spoken to us. In Jesus’ seemingly ordinary request for a drink, he reveals the extraordinary work he is doing for us on the cross. He thirsts not for Himself but for the salvation of all men. As He is dried up, He is becoming the draft of forgiveness for those who hunger and thirst for righteousness. Behold the very Rock who was cleft in the wilderness to give a wellspring of life-giving water to His thirsting, complaining people. Behold the One who created the waters that flow, rivers that run, oceans that surge, water tables that nourish, and springs that bubble. Behold the God who made six stone jars of water to be the choicest vintage of wine the wedding guests had ever tasted. Behold the man! He is thirsty. Dried up, parched. His tongue sticking like Velcro to the roof of His mouth, craving even a sip of sour wine from a sponge. Behold the man who thirsts. For you. If Jesus thirsts for us, for what do we thirst? For what does our flesh ache and groan? Not just a drink of water, probably. That is far too ordinary. For money, power, influence, success, popularity, comfort, perhaps. Maybe we thirst for more likes, more reviews, more respect, or more attention at any cost. Jesus’ physical thirst on the cross also reveals our thirst and need for God himself. Yes, we, like Jesus, are thirsty. But where we thirst for ourselves, Jesus thirsts for you. Jesus, who took on our human flesh, flesh that hungers and thirsts, flesh that needs sustenance, flesh that can be beaten, abused, mocked, nailed to a cross, and hung until it thirsts in peril for its life. For you. Jesus is deprived of life to save our life. Jesus suffers one of humanity’s most basic needs to satisfy our greatest need before God. Jesus fulfills the scripture to accomplish our rescue from every thought, word, and deed we’ve done in hopes of satisfying our own thirst. Jesus thirsted on the cross so that we need never thirst for God. Behold the man who empties Himself so that you might be filled. Behold the man who is cut off so that you can be grafted in. Behold the man who thirsts so that you can be satisfied. Behold the man who thirsts so that men might drink and never be thirsty again. Behold the man who is parched and dried up so that you might find in Him a river of life. Behold the man who thirsts as He dies so that you might never die—not like this, not the big death, not this death separated from God, not death and hell. In Jesus, your thirsts, your desires, your needs are quenched. Every thirst is primal, a hearkening back to the days in the Garden of Eden. Every thirst is eschatological, hearkening forward to the new creation, to the river of life, to the renewed heavens and renewed earth. Behold the man whose blood still flows for you. Behold the man who was dried up with thirst so that your dry lips could be satisfied with the drink of His blood for true drink. Behold the man who thirsted. Behold the man who bids you thirst no more. Behold the man who is the headstream of a new drink, the river of life. Jesus delights to give us his living water. He pours out living water from his pierced side and washes away your sins. Jesus bathes you in his death and resurrection in the living waters of the font, a true fountain of life. In his Holy Word, Jesus sends forth a river of life, teeming with his promises declaring you his new creation. Jesus’ forgiveness floods the wasteland of our sinful hearts into a reservoir of his mercy. In the Holy Supper, Jesus gives us the same body that thirsted on the cross to satisfy our hunger for righteousness. Jesus fills the cup of salvation with the same blood shed on the cross for you that we might never thirst again. In Jesus, water is life. Now and forever. Sermon for Lent 5: "Tenants by Grace"
Anyone who’s spent time around children knows they love play different parts from stories they watch or read, or pretend to be moms, dads, teachers, or police officers. They play house or church echoing things we’ve said or done. They pretend to be Moana sailing beyond the reef to find Maui, even if it’s just a wheelbarrow in the back yard. In other words, they want to see themselves in the story. When it comes to Jesus’ parables, we do the same thing. We try to find ourselves in the story. 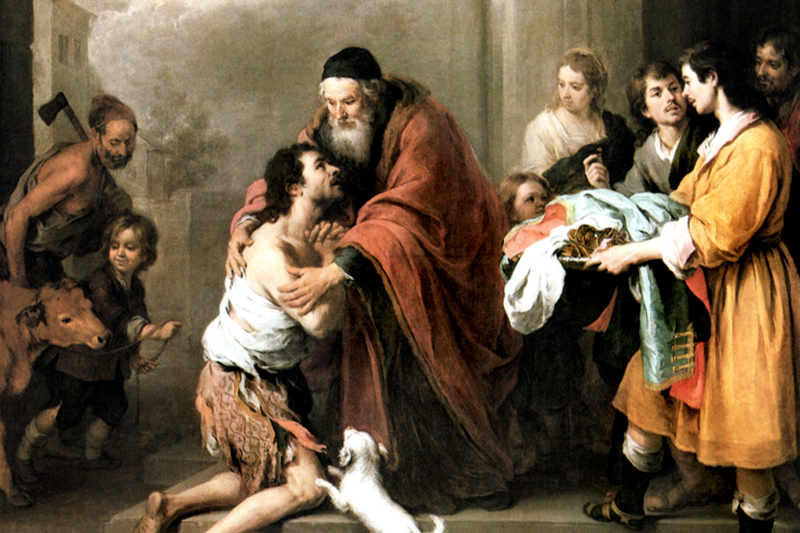 We identify with the younger or older son, or both when we hear the parable of the prodigal son. We see ourselves as the lost sheep that Jesus our Good Shepherd finds and brings home. We are the pearl buried in the field for whom Jesus gives all he has to buy the field and find us. Most of the time, it’s easy to find our place in Jesus’ parables. But when we hear the parable of the wicked tenants in Luke 20, this proves to be more challenging. Where do we find ourselves in a parable that Jesus delivers to the religious leaders of his day? We know the Pharisees saw and heard themselves in this parable, just as Jesus intended them to. Only they didn’t like what they heard. The scribes and the chief priests sought to lay hands on him at that very hour, for they perceived that he had told this parable against them. On the one hand, it’s a parable about the salvation history of Israel; about God’s pursuing, persistent, and patient love for his people. And yet, on the other, it’s a tragic story of rejection, rebellion, and unbelief. A man planted a vineyard and let it out to tenant farmers who were supposed to tend it and give a share of the harvest. He sent a servant to collect, and he was beaten and sent away empty-handed. He sent another, and he was mocked and scorned and sent away empty-handed too. He sent a third, and they wounded him and cast him out. Finally, he sent his son. “His beloved son.” And they took one look at the son and said, “This is the heir. Let’s kill him and the inheritance will be ours.” And they threw him out of the vineyard, and they killed him. It's no accident Jesus tells this parable during Holy Week. Like a raging river next to a levee, Jesus’ confrontation with the religious leaders has been swelling for years now. As the week inches towards the Passover and Good Friday, the religious leaders’ unbelief and rejection of Jesus reaches flood stage and crests. As Jesus proclaims this parable he knows the dam is about to burst. Rejection, mockery, pain, along with sin and death will pour over him like Noah’s flood. Jesus will be rejected, thrown out of the vineyard, and killed, just as he promised. To the religious leaders this was a word of judgment. A warning. A call to repentance. Jesus was against them, but in order to bring them abandon their rejection of him, and instead find redemption and rescue. Jesus only brings down the gavel on those who foolishly reject the free salvation Jesus brings thinking we are saved based on our own goodness or badness, our works and our bookkeeping. For the world is saved only by Jesus’ passion, death, and resurrection, not by any of the devices of unbelief that the Pharisees or we take refuge in. And so in a grand paradox, Jesus comes not to judge but to be judged in our place, and this is precisely why he’s rejected. Yet, in his rejection by the religious leaders, he dies for all, even those who rejected him. This is what the Pharisees missed. There’s no way around Christ the cornerstone. Either you fall on Jesus in broken hearted, empty handed, beggarly repentance or you get crushed by the weight of your own salvation crashing down against the resistance of your own self-justification. Either way, you’re going to be broken when you encounter Jesus. And that brings us back to the question we started with. Where do we find ourselves in this parable? What does a parable directed against Israel’s religious leaders in the 1stcentury have to say to us in the 21stcentury? Quite a bit, in fact. For Jesus’ parable is a reminder of who we are and why we are here. It’s not my church. It’s not your church. We are the Lord’s church, his vineyard. He’s the vineyard owner; we’re simply tenant farmers. Stewards of God’s abundant gifts in all our callings in life: home, church, in our communities, at work, and wherever our Lord sends us. We are the new tenants, not by our doing reason or strength, but by God’s baptismal grace in Christ. You are heirs, not by your doing, but by the death of the Son. And that’s the twist of this parable. The death of the Son becomes the life of the world. The death of Son grants the inheritance. The death of the Son is our forgiveness, our life, our salvation, our justification. Jesus becomes the tenant on your behalf. Jesus puts himself into the story of this fallen world to take on our sin and death. The shameful mistreatment of the servants? Jesus pays the price for that. The covetous greed that wants the vineyard for yourself? Jesus claims that sin from you. The murder of the vineyard owner’s son? Jesus takes the fall for that too. Your mistakes? Excuses? When you hurt others? Whether intentionally or not? Your brokenness? Jesus takes it all. Jesus is the one who has the vineyard taken away. He is the one whose life is taken away. He is the one who is destroyed. Killed on a cross. And in Him, our role is re-written. Jesus performs a great exchange: he trades our unholiness for his holiness. Our sinful badness for his goodness. Our death for his life. The Son is killed and the inheritance is yours, now and forever. 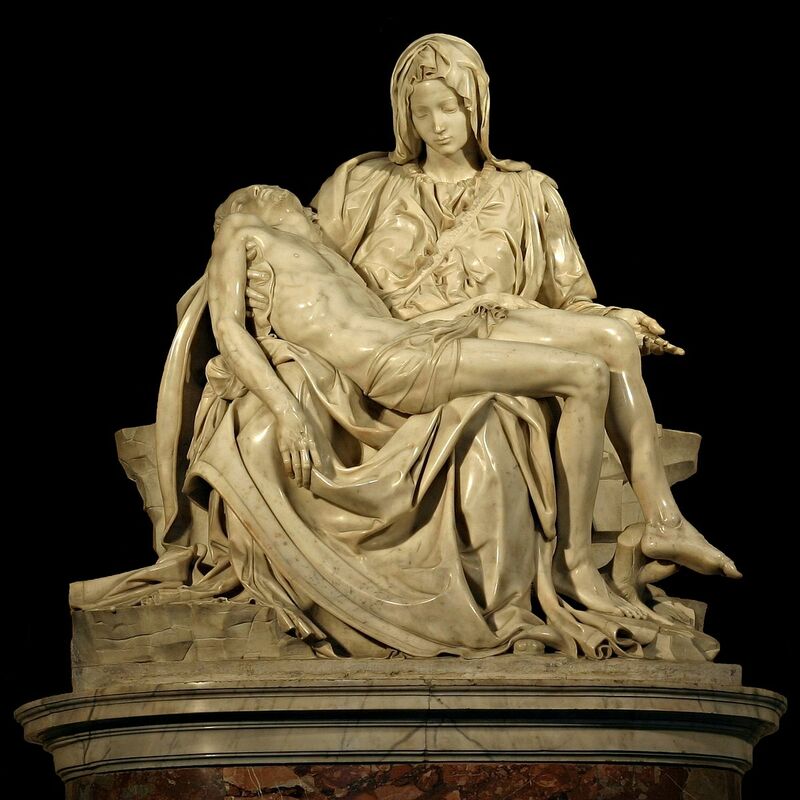 Lenten Midweek Sermon: "A God Who Has A Mother"
It may sound strange. It may even hurt our heads if we try and think about it too much. But it’s true. Scripture proclaims it. We confess it. We even sing it. God has a mother. We don’t think about God being born. We know He’s eternal. The one who is, who was, and ever shall be. Infinite. All powerful and so on. And yet for us men and our salvation… God has a mother. God is born. God takes on human flesh. Jesus’ incarnation didn’t begin at His birth. His taking on human flesh was a full nine months earlier, when the eternal Second Person of the Trinity, whom time and space cannot contain, united Himself to a single human zygote cell. The Son of God became the Son of Mary. The eternally begotten Son of God, who like the Father is without beginning or end, at the moment of the annunciation, began to be flesh. The very Word who declared, “Let Us make man in Our image,” in His incarnation finally reveals His image renewed in man, as He becomes man. Mary became a mother and God became man for you. And when we confess this, we confess something important about human life as well, especially infant life and life in the womb. Human life – from conception to death - is precious, sacred, and beloved in God’s eyes, so much so that he saw fit to take on human flesh to save us. So if we confess that God is fully man for us, even in Mary’s womb, then the unborn are fully human as well. If the One who inhabits His mother’s womb for nine months is truly God, then that means that children in the womb are more than just a random mass of cells we can toss aside – but rather, a gift from God that is to be protected, defended, and cared for. You see, our flesh won’t save us. Our sinful flesh isn’t up to the task our Lord requires. We cannot keep, much less fulfill his Law. It’s not just that our flesh is weak, but that on our own we utter failures. We’re completely lost. We have not loved the Lord our God with all our heart, soul, and mind, nor have we loved our neighbors as ourselves. If there is any hope for us, it’s not to be found in our flesh and blood, but in Jesus. Behold the man, the promised Seed of the woman sent to crush the head of the serpent who. Behold the man who redeems all men. Behold the man who cared enough to use His dying breath to care for His mother, who cared enough to use His dying breath to save her and you. St. John shows us Jesus crucifixion through the eyes of his mother. Mary, who had heard the angel Gabriel say, “Do not be afraid Mary, for the Holy Spirit would conceive in your womb a son named Jesus who whose kingdom will have no end,” now sees her son and King enthroned on the cross, crowned with thorns. Mary, who had seen the shepherds run to find Jesus lying in the manger just as the angels had said, now sees the Good Shepherd, her little lamb, laying down his life for his wayward sheep. Mary, who had seen Jesus’ first miracle of water turned into wine, now sees his appointed hour when blood and water would flow from his side, to fulfill the Law and manifest his glory on the cross for us. The child she saw in Bethlehem’s manger is now on Jerusalem’s cross. The sky that was once filled with angels and Glory to God in the highest is now filled with darkness and silence from heaven. All the things that she pondered in her heart, all that Jesus has said, done, and promised lead to this cross on this day on this hill. As Mary bore the Savior of the world in her flesh, so now, Jesus bears the sin of the world in his flesh on the cross. As Mary looked after the wellbeing of infant Jesus, now the crucified Jesus looks after the wellbeing of his mother from the cross. And as Mary once cradled Jesus in her arms and gave him life, so now on the cross, Jesus draws us to the Father’s embrace by his death on the cross, our source of life eternal. Behold the man! The Son of Mary. The Son of God. Crucified and risen. For you. Sermon for Lent 4: "Overwhelming Grace"
There’s a familiar pattern in many of our favorite stories. Jean Val Jean ,the thief in Les Miserables, later ends up caring for Cosette after being forgiven. Snow White and Sleeping Beauty are both raised from the curse of a death-like sleep by love. One way or another these are all death and resurrection stories. The same is true of Jesus’ familiar parable of the prodigal son. It’s a magnificent story of God’s overwhelming, abundant, mercy and gracious love in Jesus’ death and resurrection for us. It’s a death and resurrection story through and through. This story begins with a death. In fact, this is the first of three deaths in this parable. The father drops legally dead. For this is exactly what this younger son is asking his father to do when he requests his share of his father’s property, literally in Greek his “bios” and “substance”; his life, living, his being. Shockingly, the father doesn’t argue. He divided his property between his two sons.His younger son says, “I wish you were dead. Give me what’s coming to me and I’ll be off.” And that’s exactly what happens. He quits the family business. Breaks his relationship. And leaves home for a far-off country. It is there in this far off country where the second death of this parable occurs, at least the beginnings of it. After only a few days away from home his inheritance is gone. Every last shekel. Spent. Wasted. “Squandered on reckless living.” Wine? Women? Gambling? We don’t know. Doesn’t matter. Whatever the details, the younger son finally wakes up dead. A Jewish boy, reduced to the unclean indignity and humility of slopping pigs for a local farmer, he comes to himself and realizes that whatever life he had is over. Staring at the hog trough he looks at his life and finds nothing. ‘How many of my father's hired servants have more than enough bread, but I perish here with hunger! Not knowing what to do or where to go, he goes back to the only place he knows. Home. This is a great picture of repentance. Repentance is returning home where we belong. We’ve been away in a far country. We stink. We’re broke. We’re hungry. Alone. We want to be home again. In our Father’s house, where we belong. But to our surprise, the father makes no deals with his son. No contracts. No transactions. In a moment of pure, 100 proof grace, the father sees his son while he’s still a long way off down the road and he takes off running like a kid to a new playground. While he was still a long way off, his father saw him and felt compassion, and ran and embraced him and kissed him. As if the father giving his son his inheritance before he died wasn’t crazy enough, he outdoes himself. He runs. Rich men don’t run; they saunter, stroll. Running is far too undignified. But not for this father. He runs to greet his son with his outrageous, lavish, gracious compassion. The son is pardoned. Set free. Forgiven. Released of guilt. And accepted back into the family even before he can utter a word. Finally, in his father’s arms, the younger son realizes that he was dead all along. That’s what our confession of sin is too. The confession that we are dead in trespasses. That all of our books and ledgers and checklists aren’t worth a thing. There are no deals in the arms of our heavenly Father. Any confession we make, is made in the embrace of His forgiveness. We don’t earn our way home, we are received, welcomed home. It’s true of us too. Unworthy. Unclean. Undeserving. But God’s love for us is like the father’s love for his son. God’s love for us is not based on our worth, or whether we earn or deserve his love, but on the father’s love poured out for us in Jesus. Quickly, then, the father has his servants bring the best robe (think Joseph! ), clothing his shame, just as we are clothed in Christ in Baptism. He’s given a ring, a sign of trust and restoration to the family. And shoes on his feet. Servants didn’t wear shoes. Only family wore shoes. He is a son once again. Lost and found. Dead and live. The fattened calf had one job. To stand ready in its stall to drop dead at a moment’s notice in order for people to have a party and rejoice. It’s a picture of Christ’s sacrifice for us, the Lamb slain from before the foundation of the world for you. Who invites you to his banqueting table. To feast. To make merry. For we who were dead are alive again. We who were lost are found in Jesus. And yet, that’s not the end of the father’s outrageous, unexpected grace. He goes to his elder son. Begs him to join the party. To celebrate. Rejoice. Sadly, the elder son won’t have it. ‘Look, these many years I have served you, and I never disobeyed your command.” The older son is just as lost and dead as the younger son was, only he refused to believe it. He’s hell bent on his own bookkeeping. This parable really is first about Jesus Himself, the Son who left His royal throne, the home of His Father, emptied Himself of all the perks and privileges of being the only Son of the Father, took on our human Flesh and humbled Himself in the lostness of our death. Jesus came to the pig pen of our Sin, our mess, our muck and mire. He was baptized into it. He was crucified in the midst of it. He was buried in it. And rose from the dead for you. The parable is about us too. You baptized into the Son. You in Christ embraced by the Father. You clothed in Christ and forgiven, called to be a child of God. God’s Son has found you, claimed you, redeemed you, raised you, clothed you, forgiven you. And brings you home. Lenten Midweek Sermon: "A God Exposed"